Use the areas below to filter and find the AMAPCEO people you're looking for. AMAPCEO's Board of Directors are elected by the membership and represent each of the union's twelve geographic Districts. 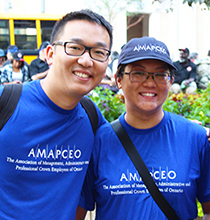 AMAPCEO's professional staff support the membership. Our staff listing is available for AMAPCEO members only. 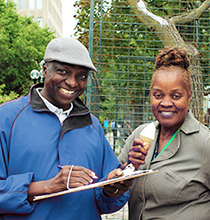 You can use this filtering tool to find a Workplace Rep by Bargaining Unit, Ministry (for OPS), and City. You do not have to enter information for all three fields, but it helps narrow down your results.